Chariton valley WatchTVEverywhere lets you view your favorite shows on multiple devices with an internet or mobile data connection. Enjoy live television and the latest episodes of your favorite programs, whenever and wherever you want! Even download individual network apps, like Watch ESPN, to get even quicker access to content on the go. It is easy to start using WatchTVEverywhere. The first step is registration. Follow the steps below and once you are registered, you just click to start watching either live TV or stored online content. Any time you are prompted for your TV provider, choose Chariton Valley Communications Corporation, Inc.
Once redirected, click register at the top left of the page. We recommend having your latest Chariton Valley invoice handy for this step. Enter your Account number and Last name as they appear on your billing statement. Enter the Verification code, provided to the right of the verification code box. Once you have created your password, we recommend you write down your password and keep it in a safe place. When all registration fields are completed, click Register at the bottom of the page. Check your email account for the Validation link from WatchTVEverywhere. Clicking on the link will be the final step to activate the registration. Congratulations! You are now registered for WatchTVEverywhere. Click on the desired channel logo to begin viewing available programming. NOTE: It is important that you keep your username and password confidential. Use of your credentials by others may result in loss of WatchTVEverywhere privileges. We’re working to add even more programming to our lineup as new channels become available. See the list below for currently available channels. 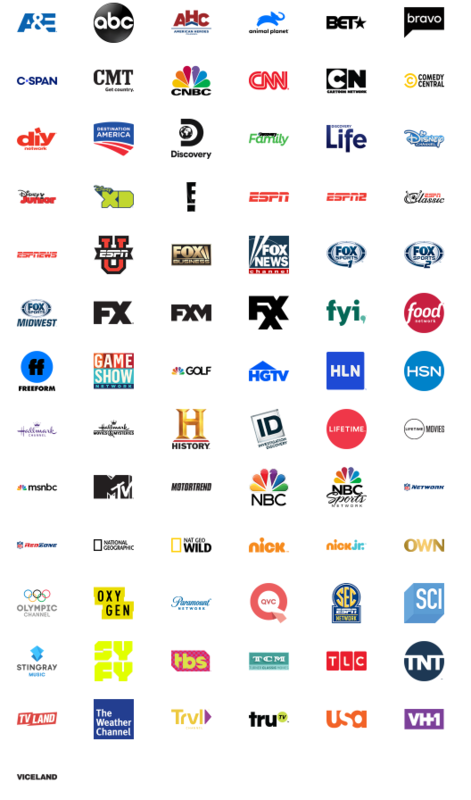 Only channels that are currently subscribed in your video service will be available via WatchTVEverywhere.